Your dog’s stay with us will be like a luxurious holiday, a home from home. We are fully licensed and are situated in 10 acres of tranquil countryside. Your dog's every need will be catered for by our highly trained professional staff. The large secure kennels are thoroughly cleaned and sterilised every day, water bowls filled regularly and beds fluffed. They can also have a therapeutic hydro bath if you desire before returning home. It is up to you how often you would like your dog fed and we only feed them top quality foods. We offer both dry foods and quality meat rolls and are happy to accommodate any special dietary requirements your dog may need. We have 2 heated indoor kennel buildings. Your dog will be in a kennel building with dogs that are the same temperament. We have new outdoor kennels for those lovely summer days and warm evenings. Your dog will be exercised throughout the day in our spacious exercise areas and there is always time for a play in one of our large grass play areas. We encourage socialisation so they can play together if requested. The health and well-being of all our guests is paramount so we require that your dog is vaccinated. We ask that your dog’s kennel cough vaccine have been given not less than 10 days prior to boarding. Documents will be asked for as proof of these vaccines. It's important that you book your dog in early to save a place. Our cattery has just undertaken a full refurbishment and has now got both indoor and outdoor areas for your fur baby to relax and play. Your cat's stay in our cattery will be a home away from home. We are all cat lovers here so you can be sure your pet will get plenty of pats and cuddles. There are 8 large individual units all with indoor outdoor areas. All fully heated, each communal unit can house up to 8 cats. Your cat will receive TLC from our competent staff and even be groomed if necessary. Each day the cattery is thoroughly cleaned and your cat will receive fresh water and clean litter. 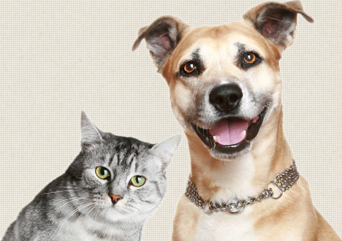 We feed your pets with only the best premium food. The health and well-being of all our guests is paramount, so we ask that your cat is currently vaccinated and documents will be asked for as proof of these vaccines. If any vaccinations need to be renewed this must be done at least 10 days prior to boarding. It's important that you book your cat in early to save a place. Book online now using our Online Booking Form. There is an additional surcharge of $5.00 / day / pet for Public holidays stays. We ask for payment at time of drop off please. "Just a short note to say thank you so very much for the safe arrival of Bones the cat to Australia! We are very appreciative of your wonderful care of her whilst she was in the cattery for 2 weeks and then the time and professional help you have shown in her export to Australia. Your wisdom was much appreciated and she appeared at Rockhampton Airport in wonderful condition. I will certainly be recommending your service to all. You have done a wonderful job."